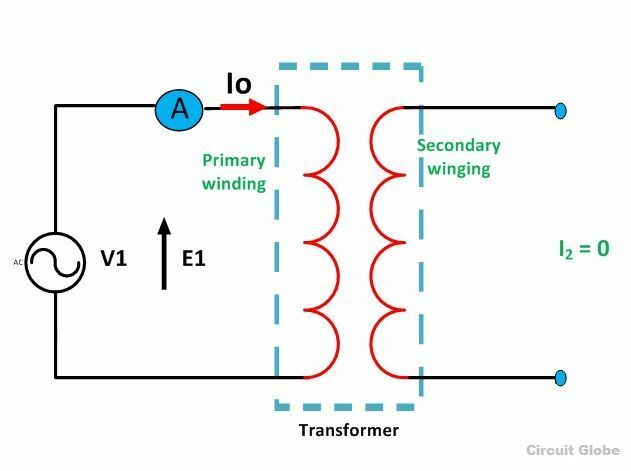 When the transformer is operating at no load, the secondary winding is open circuited, which means there is no load on the secondary side of the transformer and, therefore, current in the secondary will be zero, while primary winding carries a small current I0 called no load current which is 2 to 10% of the rated current. This current is responsible for supplying the iron losses (hysteresis and eddy current losses) in the core and a very small amount of copper losses in the primary winding. The angle of lag depends upon the losses in the transformer. 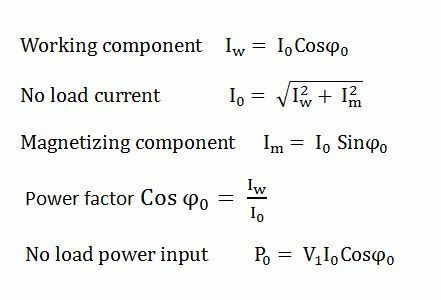 The power factor is very low and varies from 0.1 to 0.15. The function of the magnetizing component is to produce the magnetizing flux, and thus, it will be in phase with the flux. 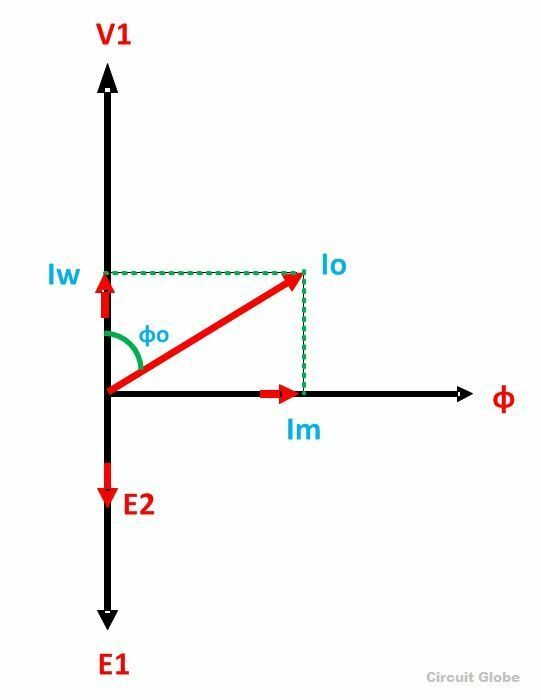 Induced emf in the primary and the secondary winding lags the flux ϕ by 90 degrees. The primary copper loss is neglected, and secondary current losses are zero as I2 = 0. Therefore, the current I0 lags behind the voltage vector V1 by an angle ϕ0 called no-load power factor angle shown in the phasor diagram above. The applied voltage V1 is drawn equal and opposite to the induced emf E1 because the difference between the two, at no load, is negligible. Active component Iw is drawn in phase with the applied voltage V1. Why some transformers exitation current are low and why some are high.What is the required range subject their KVA rating.